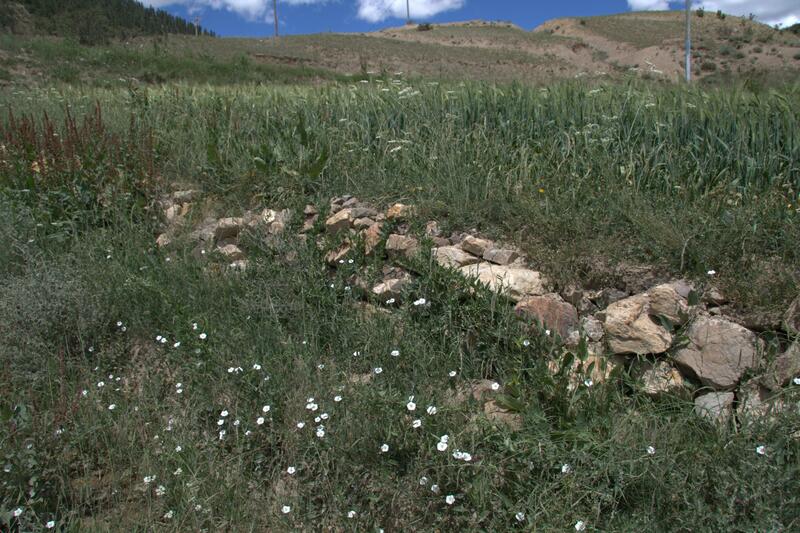 Xizang (Tibet):Luolong Xian. Between the cities of Luolong (Lhorong) and Bianba (Banbar) on highway 303. Disturbed roadside and edge of cultivated barley (Hordeum) fields. 30°46'6"N, 95°34'1"E; 3800 m.